Here they go again: the pundits and the politicians and the editors of newspapers, repeating the same, tired urban legends we have already heard so often as they struggle to explain the Jan. 7 terrorist attacks in Paris. You know the keywords by now: "disenfranchised youth," "unemployment," "ghettos," "banlieues," "oppressed." The upshot of the claim is that Western Muslims are radicalizing and turning to terrorism because they are unemployed, disenfranchised youth who live in deteriorating ghettos. And sometimes that argument is followed quickly by another: their actions have nothing to do with Islam. It's a popular argument. But none of it is true. Which is why those who make these claims often end up stumbling over their own feet, as the New York Times did in the days just after the Paris attacks. After first asserting the standard memes, the Times quickly followed up with an article about the likely backlash in the Paris banlieue – ghettos largely populated by Muslims – in response to the broad international support for the editors of the satirical magazine Charlie Hebdo. The banlieues, the Times warned, were on the brink of an "explosion," their Muslim population seething with anger over Charlie Hebdo's frequent mocking of their prophet, and the slogan of support that had subsequently swept the West: "je suis Charlie." This situation, the Times suggested, was not because these young men and women were Muslim: most Muslims, after all, are not terrorists. Most do not advocate violence. Rather, it was because they are unemployed, disenfranchised youth living in deteriorating ghettos. Either this means that if you put someone in a deteriorating ghetto and take away his job he is likely to become a terrorist, or it means that all Muslims have the potential to become radicalized – just place them in a deteriorating ghetto and take away their jobs. The first is contradicted by the lives of hundreds of millions of people across the Western hemisphere: the Hispanics in Spanish Harlem, the Orthodox Jews in Antwerp and Borough Park, the Filipinos of Little Manila in Los Angeles. The second is simply bigoted: if the Times and others intend to argue that most Muslims aren't terrorists, they cannot also reasonably declare that any Muslim who is disenfranchised can – and probably will – become one, when other disenfranchised people don't. But this isn't simply about logic. Time and again, studies have confirmed that, at least among Western Muslims, economic status has no bearing on radicalization. Nor does it apparently have much relationship to terrorism generally: Oklahoma City bomber Timothy McVeigh and his co-conspirator Terry Nichols may both have had personal issues, but neither grew up in urban blights. The founders of the Weather Underground all came from well-off or middle-class families. Indeed, forensic psychiatrist and former CIA caseworker Marc Sageman, who studied 400 terrorists targeting the West, found that 75 percent of them grew up in upper- or middle class families. As Frontline reported, "The vast majority – 90 percent – came from caring, intact families. 63 percent had gone to college, as compared with the five or six percent typical in the third world." In another study focusing on Muslims living in the West, Emory University's N. Delia Deckard and David Jacobson of the Global Initiative on Civil Society and Conflict found that, "As respondents reported being more prosperous, they also reported having a more orthodox understanding of gender, a greater affinity towards Sharia-inspired justice systems, more anti-Westernness, and a greater willingness to sacrifice themselves for their faith. […] Our hypothesis that more religious respondents would be more likely to espouse radical beliefs regarding violence was confirmed strongly. Irrespective of the demographic control variables, level of fundamentalism was a significant and powerful predictor of willingness to engage in violence." "Many of the Muslims here are angry," a Kurdish immigrant to the Netherlands told me after the attacks on Charlie Hebdo. "They feel they came here as guest workers, they built this country, and then they were shoved into a corner and forgotten." But anger is also not what transforms people into religious radicals. What transforms them into religious radicals, in truth, is other religious radicals. Full stop. A bit of history is perhaps in order here. Europe's Muslim guest workers were brought here as guests. They were not expected to stay. Europe's governments found homes for them and created communities where they rightly or wrongly believed that the laborers would feel more comfortable. The idea was that they would prefer to live among others who spoke the same languages and came from the same cultures they did. Except the contract didn't hold. The workers brought their families over and they stayed. No one had anticipated this development. No one had anticipated that many would not learn the languages of their host countries, without which higher employment simply wasn't possible. This is how ghettos often form. And uprisings are often an unhappy consequence of this. But ghetto uprisings are not jihad. Ghetto uprisings are not terrorism. Moreover, it has not been the first generation of immigrants to Europe who has radicalized, but rather, their children – youth born and raised in the West. In this, the socioeconomic differences among Western Muslims often do play a factor in their radicalization: they are easy prey. Some who turn to lives of crime become radicalized in the prisons. Others are assured their sins will be forgiven if they martyr themselves in jihad. Add to this mix the large number of Salafist preachers sent to European mosques from Saudi Arabia, Wahhabist literature distributed by many of these mosques, Saudi (Salafist)-sponsored Islamic schools in Muslim communities, and you have the petri dish for the making of a radical Muslim – some of whom will, and some of whom will not, go on to wage jihad. Urban legends pushed aside, the core truth is that, to become a terrorist, any kind of terrorist, all you need is a weapon and a cause. And in the case of Islamist terrorism, the kind that placed a fatwa on Salman Rushdie, the kind that inspired a doctor and an aeronautical engineer to stage terrorist attacks in Glasgow and in London, the kind that savaged the editorial offices of Charlie Hebdo, that cause is just one thing: radical Islam. Not disenfranchisement and unemployment and a house without a big back yard. What helps along the way in creating religious radicals, however, are other religious radicals. And this, also according to the New York Times, is exactly what happened with Said and Cherif Kouachi, the brothers responsible for the Charlie Hebdo attacks. Yet the mistake the Times and so many others make is to confuse all these issues. One cannot logically argue that most Muslims living in poverty in the West are not terrorists, and at the same time, caution that the banlieues are a breeding ground for terrorism. 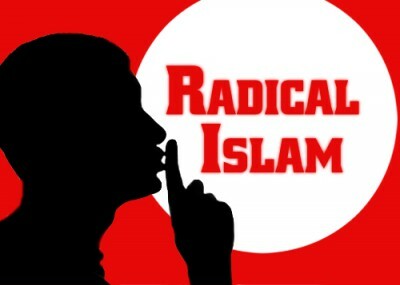 You cannot become a radical Muslim without being a Muslim first, whether you live in the banlieues of Paris, the Schilderswijk in The Hague, or a house with a white picket fence in Caswell County, North Carolina. But what we can do, in the words of Stephane Gomez, the deputy mayor of Paris suburb Vaulx-en-Velin, is "talk about what has gone wrong and reopen the debates that we've been afraid to talk about for so long." But that takes a courage and an honesty, many simply do not have. Current leadership in place throughout the Western nations is unable to coherently or decisively end the ambitions of empires built by fire and sword. Each failure of statesmen has resulted in devastating world wars and radical shifts of global power and the passing of a generation. Why did the next generation of immigrants not integrate themselves? Even the African Americans who came as slaves to US and therefore have far greater cause for hatred of their white masters have integrated pretty well. Were they forced to ghetto life? Was the radicalization conveniently ignored? Were they not encouraged to learn the local language so that they do not compete with the "natives" for better jobs? Is it because the education system failed them in general, no education about modern thought? Great article. Let's get real is the message.